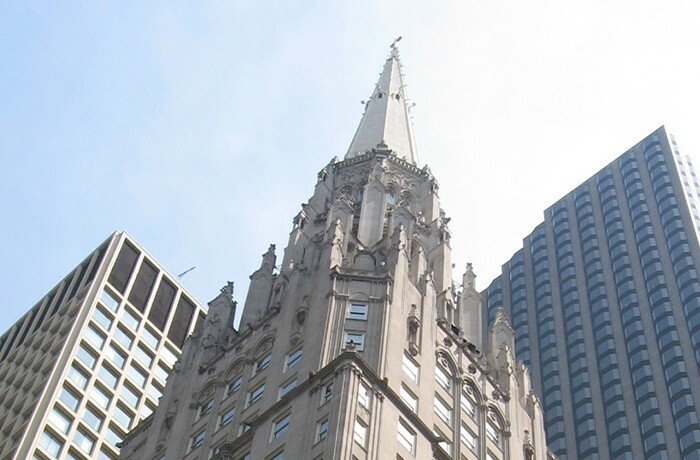 The Chicago Temple, designed by Holabird and Roche, is one of Chicago's most prominent buildings. It was completed in 1924, and is listed as the tallest church in the world, with a spire reaching 568 feet above ground level. HPZS developed and continues to lead a $27 million dollar, multi-year master plan to bring the entire structure into code compliance and restore the limestone exterior and lighted spire, as well as whole-building energy efficiency upgrades to the building’s HVAC system.